For the 2011 Isle of Man TT, Bruce Anstey swapped Suzuki machinery for the Padgetts-run Hondas and the team change seemed to rejuvenate the veteran Kiwi. Seemingly more determined than ever, Anstey notched up another win around the 37.7-mile Mountain course, and re-established himself as one of the masters of the TT. 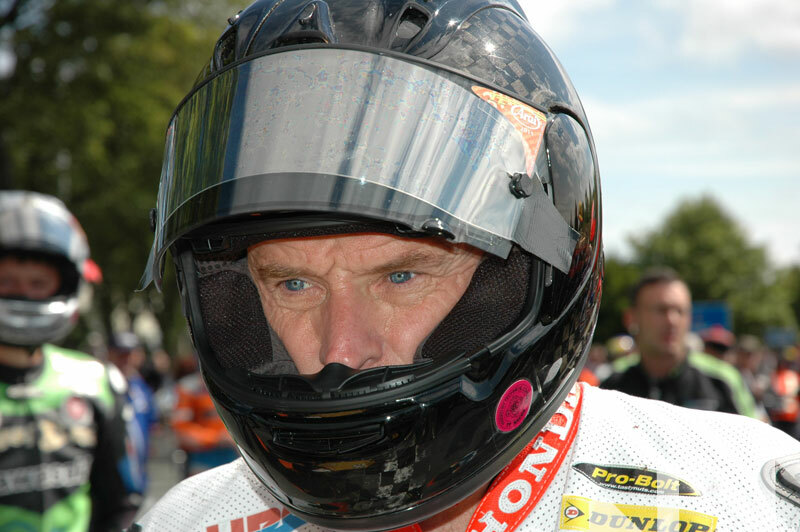 Thsi picture, taken just moments before racing starts, shows the absolute concentration and focus etched on Anstey's face and in his piercing blue eyes.